Just passed the CCENT. Got a 912 out of 1000, pretty pleased with my score. I posted this in an earlier thread, but for those interested I used the Odom (cisco press) book, CBT Nuggets, and the Bosom exam SIM. I learned a lot from these boards as well, definitely a great source of information and inspiration. I enjoy seeing the "I passed" posts similar to this one nearly every day. That is a great thing! Everyone, keep it up! Now on to ICND 2. I hope to take the exam shortly after the first of the year. Any suggestions are definitely welcome. Congrats man and nice score!! How'd you think the Boson exam was compared to the real exam? I made a 899 out of 1000 when I took it a few weeks ago, and Boson seemed a little tougher. I agree the Boson exams were tougher. I don't think I used them very effectively however. I took probably 8 practice exams and they did expose areas I needed to focus on. However, after the 3rd or 4th, I started to see questions repeating and I began to get lazy with them. I would say after a few of them you hit the point of diminishing returns, and increasing frustration. Out of the 8, my highest score was 75% so for me they helped me focus my study, but did not accurately indicate readiness for the exam. 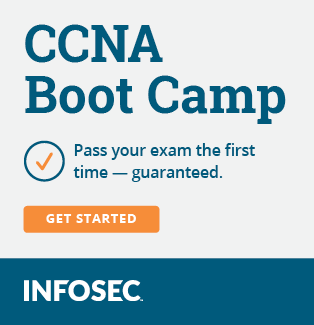 Before I start taking practice exams for ICND 2, I'm going to make sure I'm really ready so I don't blow the value of the tests. When are you taking the 2nd exam? Agreed! I've taken the college course about 2 years ago, but just was going for the MCITP route, so I've been brushing back up on ICND2 for the past month. I'm going to try taking it next week or the week after, because I want to have it prior to January. I'm trying to also meet a deadline so I can start school as opposed to trying to jumble in CCNA and getting enrolled. So, I want to knock this out no later than 2 weeks from now. I've read the ICND2 official book and been taking Boson exam as well as some other randomly found material in the threads and google. I've been doing Boson pretty heavily though, to be honest.